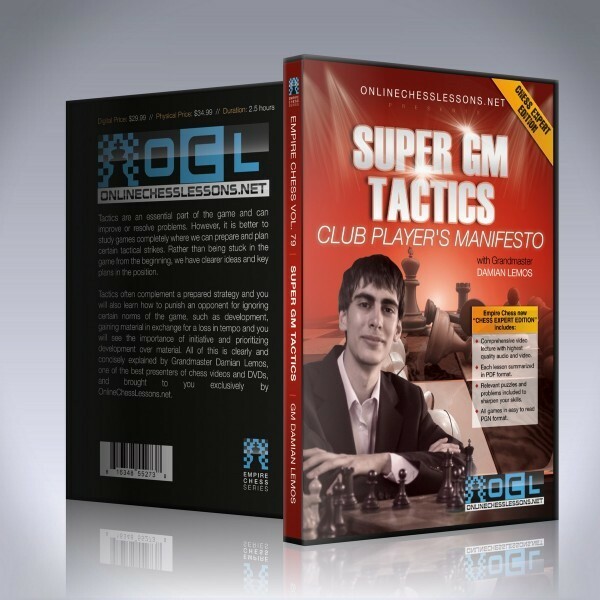 In this volume GM Damian Lemos focuses his study on tactics by using four Super GM games as a point of reference in order to explain how a Grandmaster thinks. Tactics are an essential part of the game and can improve or resolve problems. However, it is better to study games completely where we can prepare and plan certain tactical strikes. Rather than being stuck in the game from the beginning, we have clearer ideas and key plans in the position. 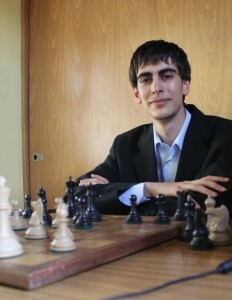 Tactics often complement a prepared strategy and you will also learn how to punish an opponent for ignoring certain norms of the game, such as development, gaining material in exchange for a loss in tempo and you will see the importance of initiative and prioritizing development over material. All of this is clearly and concisely explained by Grandmaster Damian Lemos, one of the best presenters of chess video instruction. Grandmaster Damian Lemos’ excellent presentation skills will guide you through this volume, the ninth in the collection of strategy and tactics for advanced players. In this volume GM Damian Lemos focuses his study on tactics by using four Super GM games as a point of reference in order to explain how a Grandmaster thinks. Tactics are an essential part of the game and can improve or resolve problems. However, it is better to study games completely where we can prepare and plan certain tactical strikes. Rather than being stuck in the game from the beginning, we have clearer ideas and key plans in the position. Tactics often complement a prepared strategy and you will also learn how to punish an opponent for ignoring certain norms of the game, such as development, gaining material in exchange for a loss in tempo and you will see the importance of initiative and prioritizing development over material. All of this is clearly and concisely explained by Grandmaster Damian Lemos, one of the best presenters of chess videos and instruction.